Engineered Products Company's (EPCO) TIGRESS Temporary Luminaire is a low cost, energy efficient lighting solution that is highly functional for use in low to medium bay temporary construction lighting applications and a recommended alternative to metal halide luminaires. 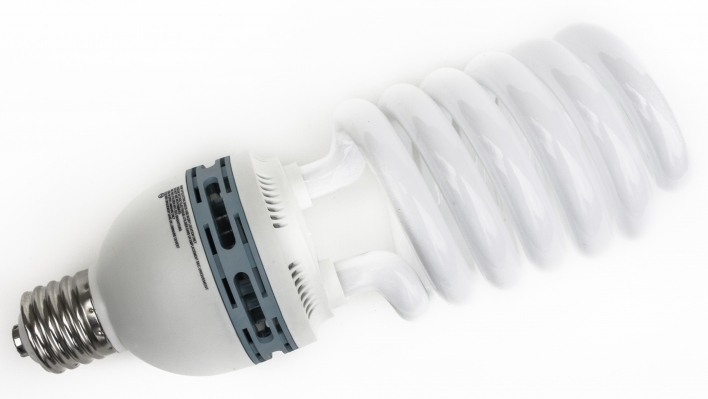 A 105-Watt compact fluorescent lamp (CFL) is included and provides a productive work environment during building construction or major renovation, consumes less than one-half of the total energy costs compared to metal halide lamps, and is approximately 3 to 5 times more efficient than standard incandescent lamps and can last up to 10 times longer. Meets the requirements of the 2017 National Electrical Code: Articles 410.62(C)(1) and (2), 410.104(A), 410.122, 410.130(F)(5) and 590.4(F). Compact size, lightweight, and balanced construction. Reliable, durable, maintenance free performance! CFL lamp will not decay significantly when compared to metal halide lamps. Suitable for compact spaces - minimum 10-foot height. Instant restart in the event of a power outage. High luminous efficacy and durability. Steel housing; durable white powder-coat finish.